Image Slider Block allows you to create a slideshow of items or options your company offers. Each slider is composed of an image attachment, title, subtitle and at most 3 buttons. Slider Block enables you to take quick action. Select “Image Slider” option from the top. This is the basic setup of image slider block containing only one item. Click on the + button to add more items. After adding more items you will see 3 new buttons. Previous button: which will take you back to the previous item. Next button: which will take you to the next item. Remove button: which is at the top right corner and is displayed with an “X” will remove the current item. Buttons in a Media Block are limited to at most 3 on a single card. You can add up-to 10 items per slider block. 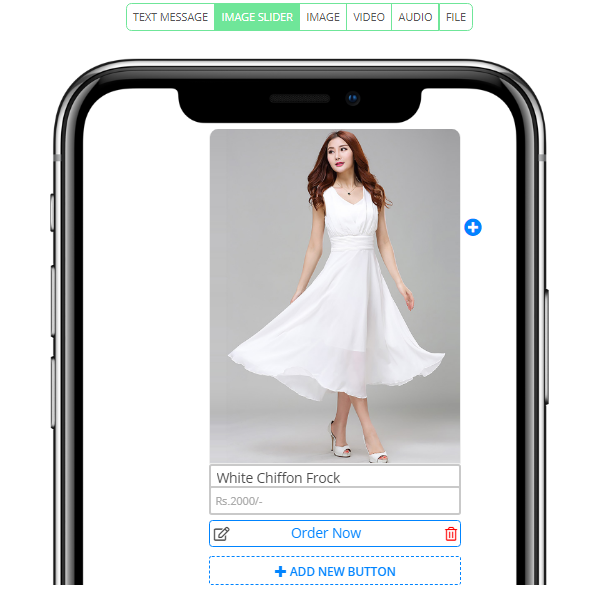 The items will act and appear as a slider in your chatbot. Once you have created the slider block, click the "Save button on the top right of your screen, also don't forget to use this media block in your story. Media block let your clients engage in your proposals without getting bored. 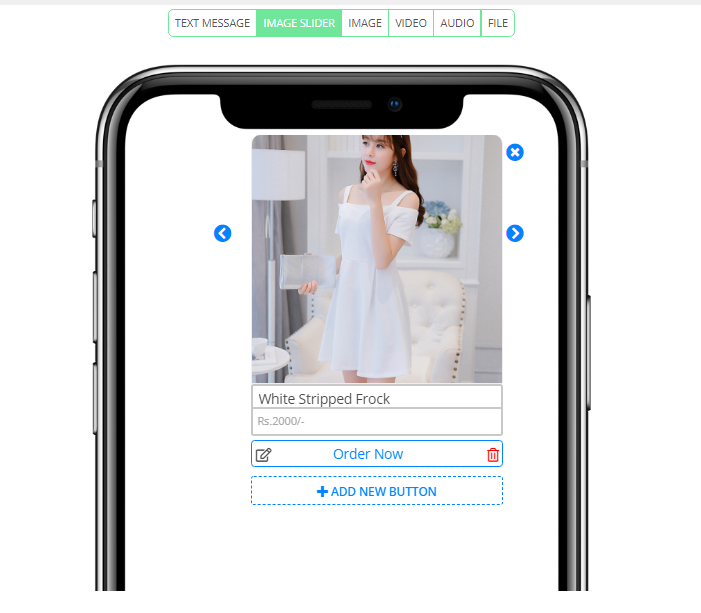 By introducing Media block, Botsify provides an easy and quick way to customize your chatbot.